We’ve been trading over 11 years now which is pretty amazing for a new media company, we’ve seen lots of competitors come and go during that time but have always prided ourselves in providing our customers with a genuine, value for money service, we care about our customers as i’m sure our testimonials page will show. Over the last 11 years we’ve watched technology grow and mature, when we started trading broadband internet was just a rumour and people were very lucky to even have 56kbps ISDN connections, and most were on old dial up connections? 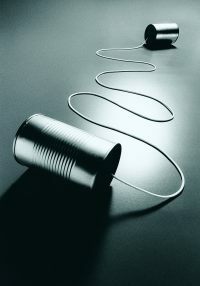 Remember the sound of the phone dialing your service provider? Ah Nostalgia! Now-adays as designers we are spoilt, we are able to design websites that use modern technology like PHP, Databases and HTML 5 to produce a captivating online experience rich in images, videos and dynamic content. Its wonderful to feel the constrictions of having to design for slow connections be lifted. We must however always bare in mind that not everyone has the gold plated premium broadband packages that we’ve come to expect. Some of our customers’ website visitors will still be using slow connections, slow computers with small resolution monitors or mobile devices. At Ardnet we design modern websites but we are dedicated to test that sites work properly on all platforms, bandwidths and browsers.